‘New Build’ Metal Built Up Roof Systems. Metal built up roof systems have been used in the northern hemisphere for many decades, driven by the government regulations to keep heat within a building and to minimise the energy used to create that heat, thus reducing the associated carbon emissions. With the new south african government standards, SANS 10400 XA legislation, the search for energy efficient metal roofing & cladding systems has certainly begun. Thermal performance to a staggering market leading 0.10 W/m²K or even better if required. Sound attenuation as high as 60 dB Weighted Sound Reduction. Sound absorption for swimming pools and schools to stop sound reverberation. Specialist roof systems for high humidity roof systems. Specialist roof systems for high security performance – Prisons, Data centres, Governmental Buildings. All our specified metal roofing & cladding built up systems have a walkable liner or structural deck to provide a walking platform to install the rest of the roof system and provide a clean white soffit to the inside of the building. How to specify, deliver & install high quality roofing systems? The key to delivering such metal roofing systems is to specify high quality components and to ensure on-site installation compliance. How often are poor quality fixings used? Where are sealants and fillers used? Will insulation compressed between purlin and roof sheet REALLY provide any recognisable thermal performance? The core values of MRC’s metal built up roofing & cladding systems! Safety on site for those who are working at height. Specification compliance through supply & installation. 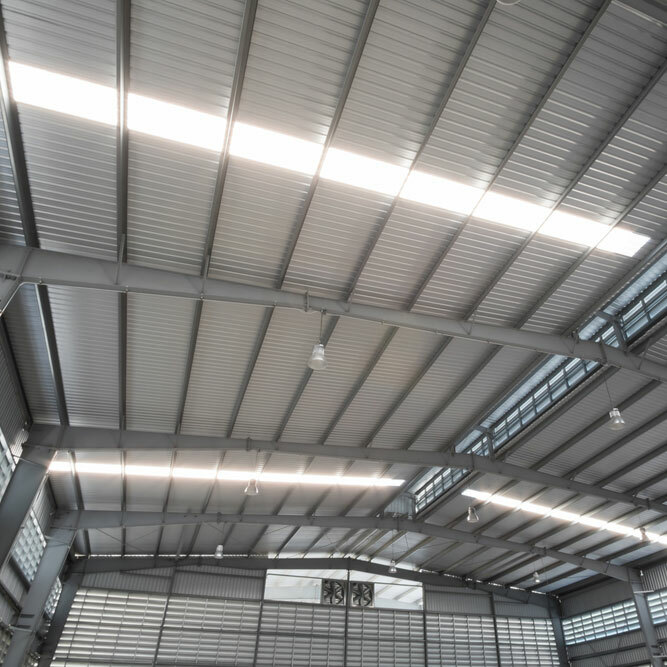 Energy efficient roof system to reduce the clients operational costs of the building. Reduction in associated carbon emissions. Benefits of Built Up Systems! Tailored roofing and cladding systems provide specification flexibility to suit the individual performance of the building. A lightweight, easy to install, and fast method of construction. Excellent sound reduction performance; typically between 44 – 48dB (weighted S.R.I. Rw) between 10 – 20dB better than foam cored composite panels or bonded systems. Excellent sound absorption performance; typically Class A sound absorption, which composite panel systems would need an additional acoustic system under the roof construction. Secure and waterproof at an early stage of the build programme enabling the remaining elements of the roof system to be taken off the critical path, while internal works can continue within a waterproof environment. Bespoke thermal systems can be specified as low as 0.10 W/m2K in the knowledge that they offer thermal performance longevity for the life of the building. As the individual components that make up the built up systems are not bonded, recycling of the materials after the buildings operational life is easy and does not present the potential ecological impact presented by foam cored composite panels. LPCB non-combustible rock and glass mineral wool used in built-up metal roofs have the advantage of offering high levels of fire resistance and potentially lower insurance premiums compared to foam composite panels. MRC’s built up systems provide the specifier, developer and client REAL choice of project specific design surrounding metal roofing & cladding systems, all backed with a System Warranty including the workmanship for up to 20 years. All of MRC’s built up metal roofing & cladding systems provide REAL choice in performance, aesthetics and budget.